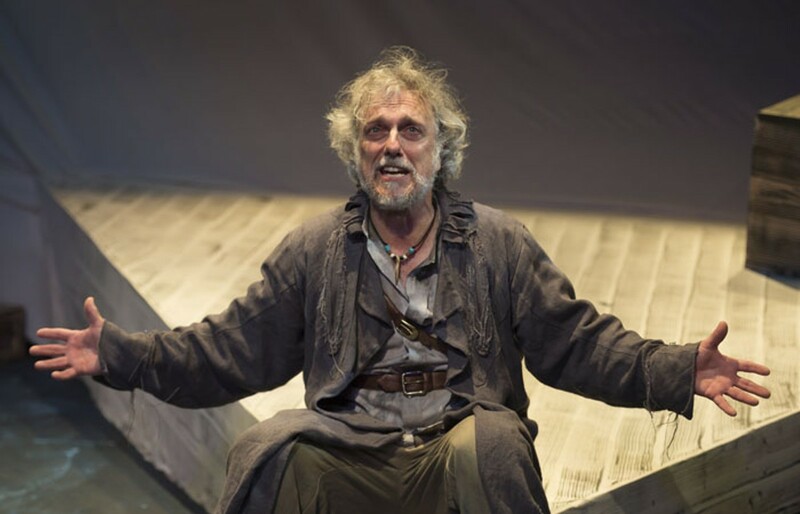 Jerry Vogel in Upstream Theater's Rime of the Ancient Mariner. This adaptation of Samuel Taylor Coleridge's epic poem was written and helmed by Patrick Siler, who masterfully combined the might and majesty of the text with music, art and theatricality to create something new and compelling. Popular local band Sleepy Kitty (Evan Sult and Paige Brubeck) wrote and performed the music, which was entirely in service to the poetry. The result was a fascinating and passionate retelling of Coleridge's work, with all the madness, despair and wonder of the original still intact. It was an all-consuming experience inside the Kranzberg Art Center's black-box theater, and audiences were cheek-to-jowl in their eagerness to be part of it. And yet rather than being claustrophobic in nature, Rime seemingly stretched from horizon to horizon. That sea was wide, and it encompassed us all. www.upstreamtheater.org.